Lizettes next TYPE topper: Lakeside Ups Lizette! 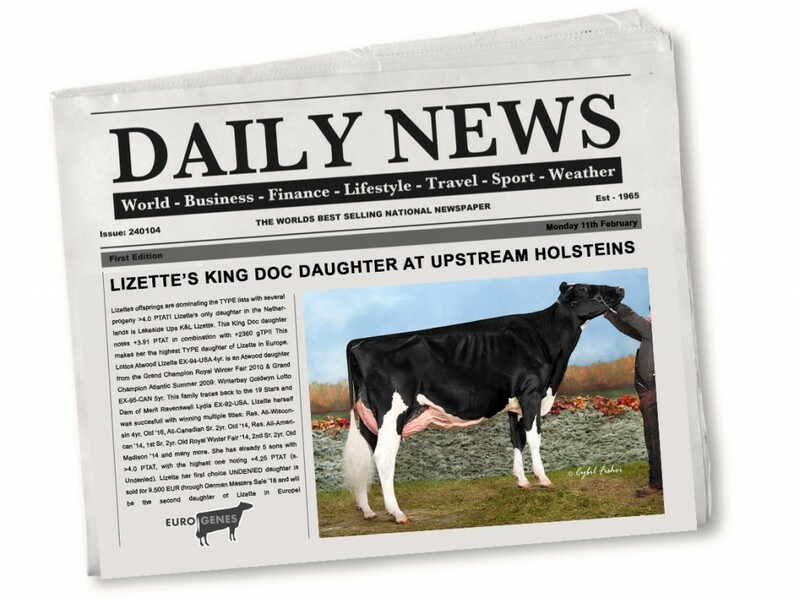 Lizettes offsprings are dominating the TYPE lists with several progeny >4.0 PTAT! Lizette's only daughter in the Netherlands is Lakeside Ups K&L Lizette. This King Doc daughter notes +3.91 PTAT in combination with +2360 gTPI! This makes her the highest TYPE daughter of Lizette in Europe. Lottos Atwood Lizette EX-94-USA 4yr. is an Atwood daughter from the Grand Champion Royal Winter Fair 2010 & Grand Champion Atlantic Summer 2009: Winterbay Goldwyn Lotto EX-95-CAN 5yr. This family traces back to the 19 Stars and Dam of Merit Ravenswell Lydia EX-92-USA. Lizette herself was succesfull with winning multiple titles: Res. All-Wisconsin 4yr. Old '16, All-Canadian Sr. 2yr. Old '14, Res. All-American '14, 1st Sr. 2yr. Old Royal Winter Fair '14, 2nd Sr. 2yr. Old Madison '14 and many more. She has already 5 sons with >4.0 PTAT, with the highest one noting +4.25 PTAT (s. Undenied). Lizette her first choice UNDENIED daughter is sold for 9.500 EUR through German Masters Sale '18 and will be the second daughter of Lizette in Europe! Lizette is an incredible transmitter: 10 sons & dtrs >4.0 PTAT till date! Her grand dam was Grand Champion Royal Winter Fair 2010!! 11 generations VG or EX-dams in her pedigree! 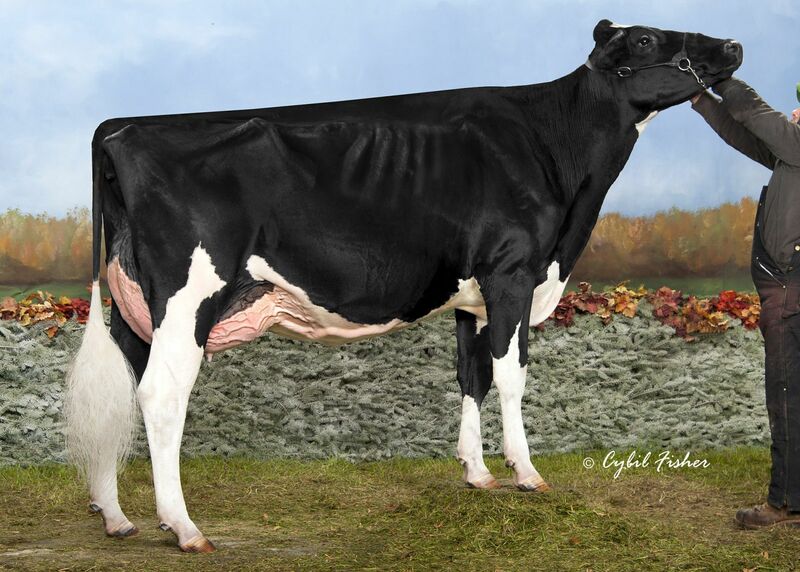 Grand dam: Winterbay Goldwyn Lotto EX-95-CAN 5yr. 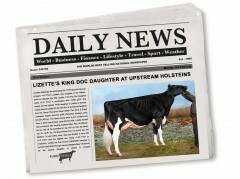 To contact Upstream Holsteins, click here or use the following contact information.